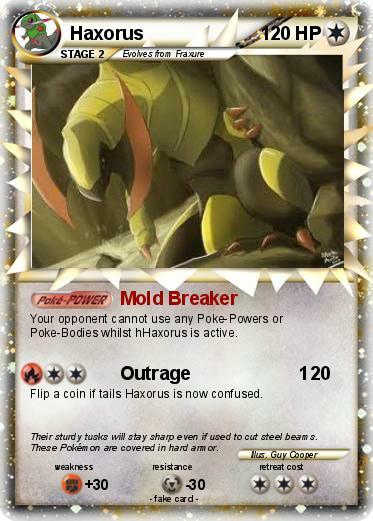 Your opponent cannot use any Poke-Powers or Poke-Bodies whilst hHaxorus is active. Flip a coin if tails Haxorus is now confused. Comments : Their sturdy tusks will stay sharp even if used to cut steel beams. These Pokémon are covered in hard armor.